The owner of Rennes responded to the call of Nathalie Boy de la Tour, president of the Professional Football League, who announced mobilizations to help rebuild Nôtre Dame. 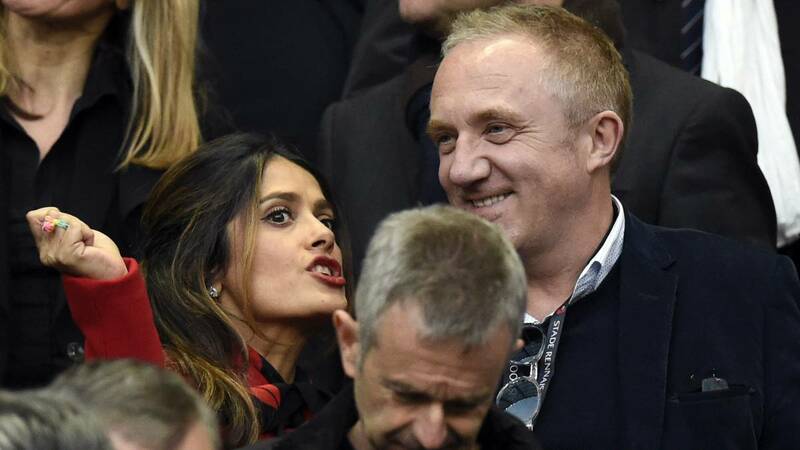 François-Henri Pinault, one of the richest men in the world and shareholder of Rennes, of Ligue 1 de France, will contribute 100 million euros for the reconstruction of Notre Dame. In this way, the husband of the Mexican actress, Salma Hayek, was one of the first to answer the call of French professional football. It will do so with funds from its Artemis Holding company, for which the Pinault family will unlock funds, which will serve as an economic base in the repair work of this representative architectural and religious work that identifies France. The president of French professional football, Nathalie Boy of the Tour, assured this morning the mobilization of the country's soccer to help rebuild the Cathedral of Notre Dame, seriously damaged by the fire that was declared yesterday. It will do so with financial contributions to offset the millionaire losses due to the damage caused by the devastating fire. "French football will be mobilized to help economically to rebuild the Cathedral that is part of our heritage", announced the leader and Visible face of professional football in this country. Boy de la Tour was in charge of unveiling some of the proposals and actions that will take place and involving the professional clubs and personalities of this sport: "We will coordinate the measures to enter action with the protagonists of football, this is a drama that has touched us all and we are affected by it ". The president has not advanced the figures that will go to Nôtre Dame but, despite this, has encouraged professional football institutions to join this great cause. The Paris Saint Germain has issued a statement in the which reaffirms its total commitment to the reconstruction of the Cathedral of Notre Dame and announces that it will undertake a collection of funds to contribute to the work. In addition, he agrees to financially support the fire department: "The Paris Saint-Germain wants to express its admiration and solidarity towards the Paris firefighters, who with their commitment and courage, could put an end to the flames and limit the extension of The club will also provide support to the firefighters of Paris. " In a gesture of solidarity and commitment to the cause, a store in Paris is silk-screening the Cathedral on the club shirts for the price of five euros. The proceeds would go to aid for reconstruction.